This is our comprehensive online outlet for prints in the consumer products market. We offer a customised front end – which mirrors your own site – offering prints, framed prints, canvases, creative gifts and much more. This offers you a low risk and easy-to-implement way of earning additional revenue from images. 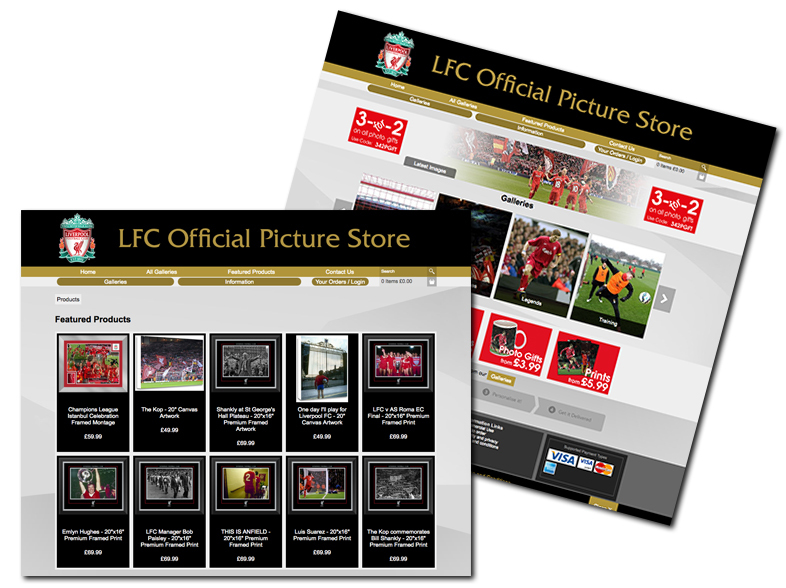 Simply upload images to your personalised store where products can instantly become available for sale. Our UK-based teams can meet most requirements, with global distribution and production facilities in most continents. We are currently supplying 100s of clients with our market-leading technology that allow their images to be viewed and bought by millions of fans and collectors worldwide. To see an example of our latest software, please click here.